Did APICS Logistics Certification Make Any Difference to Career? If you are in the supply chain profession and you want to earn a rewarding certification that can add value to your professional career, then this write up will surely help you. You may have been bombarded with so many options from different institutions. But choosing a right institute can help you get the best in your professional career. APICS logistics certification has been in a huge demand for the last some years. With a successful track record, it has attracted so many supply chain professionals. Here in this write-up, we will be talking about the benefits that a candidate gets after getting the certification course. Why Logistics Certification from APICS? 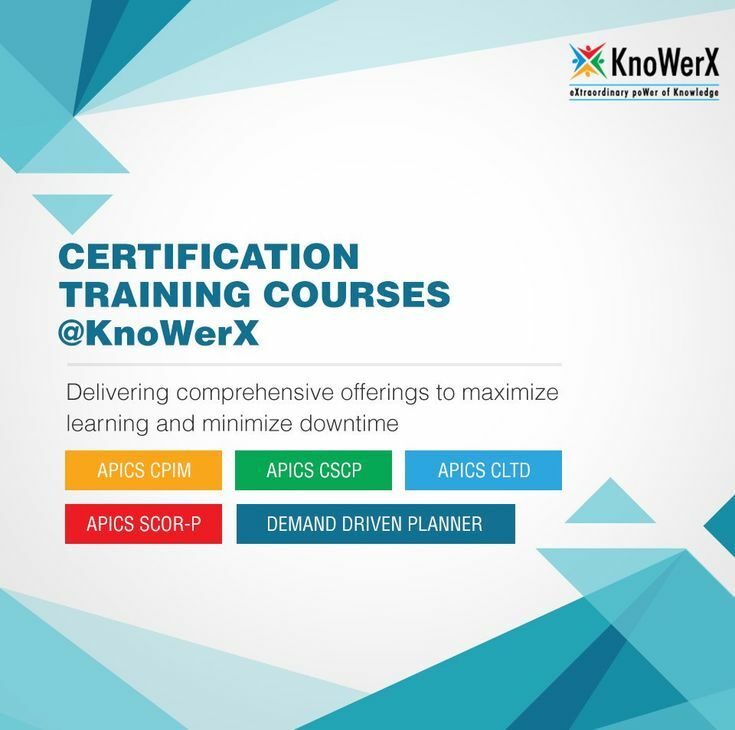 There are so many reasons why you should choose APICS to get the certification in supply chain management. It is known to be the leading global institution that offers a focused training program in the field of supply chain education. It is accepted as a standard for any education or certification in the field of operations management. Due to its contemporary course materials and good track record, APICS certification is recognized globally and the employers give the foremost preferences to candidates who have certification in the supply chain. There are so many reliable institutes that are affiliated to APICS and provides a high standard of education in the field of supply chain. members in the institutions are of world class. Most of them have an industry expert in the respective field with over 25+ years of industry experience. Most of the teachers are working professionals and they integrate their teaching methodology with the real world experience to groom candidates in a better way. If you look at the course materials, you will find them filled with the real-life and contemporary programs. The APICS certification in supply chain and logistics can easily take your career into a sphere wherein you see the rewarding outcomes and benefits. It certifies and helps your employer to know about your skills and knowledge. The certification certifies your ability to deal with every challenge in a unique way. When it comes to selecting a perfect institution for the APICS logistics certification, you need to focus on some important things. You would better check out the credentials and past record correctly so that you can understand its performance. First of all, you should check if the courses are offered with the contemporary course materials. You would only be able to make the best out of your certification if it teaches you the latest trends. It is necessary for the institutes to have the real-life experiences and challenges included in the curriculum. Secondly, it is also important to find out whether the institute gives you opportunities after completing the certification program to get your dream job designations such as APICS CLTD designation in the respective field. So, choosing a right institute can make a huge difference in your professional career. If you want to make a difference by attaining your career goal in the production and logistics sector, then don’t forget to earn the certification in the supply chain.